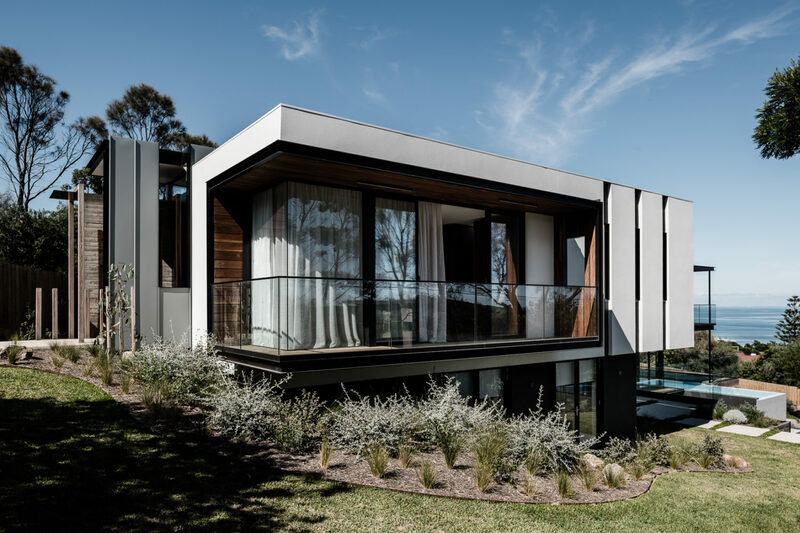 Springhill House is a private dwelling designed for an author and artistic director seeking a tree-change from living in the inner suburbs of Melbourne. 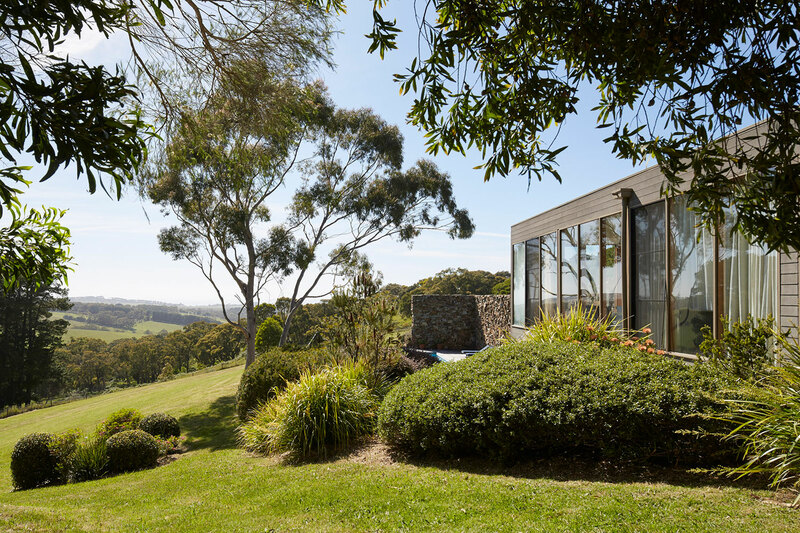 The dwelling is part of a larger project of re-imagining and revitalizing an under worked paddock into a place of habitation, connection and reflection. The project explores place-making within a vast rural setting and supports the notion that a dwelling has emotional foundations and memory intrinsic to its physical built form. The site is defined by triangular boundaries formed by natural desire lines of the county roads. The land that flows across the site has been sculpted into soft undulations from surface water that flows through the ground from the nearby Springhill. There are two dams and a spring at the low point. The dwelling is sited towards the high point of the site adjacent an outcrop of granite that forms an subtle rise to the north of the building, offering both a foreground for aspect from the dwelling and shelters the home from the noise of the road to west. The building form takes its cues from archetypal hay sheds that litter the broader Australian landscape. These stoic silhouettes, roofed yet open on all sides, are borne through farming conventions and rational necessity. They are often a reminder of ideas of frontier and shelter that are present within the Australian psyche. For the client, this approach conjured memories of her childhood home on the plains of Western Queensland. 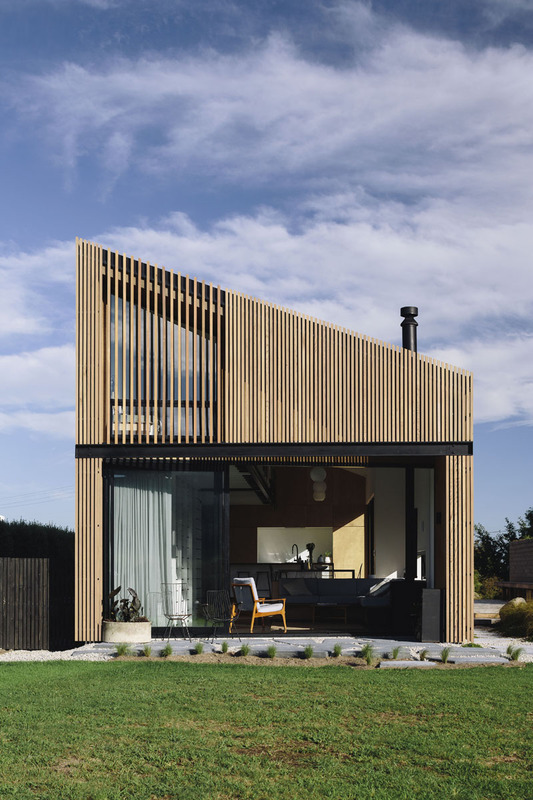 Much like a hay shed, the dwelling’s roof extends beyond the enclosed forms creating sheltered, flexible spaces around most of the building’s perimeter. Supported by a series of glulam portal frames, the roof defines the areas of habitation from the treeless, grassy expanse beyond. The materials of Springhill House have been selected for their robust and utilitarian qualities. Large galvanized metal sheets are fixed to the outer layer of the building and provide the main source of weather protection. The external material is comfortable within this rural environment and in keeping with its vernacular purpose, it is left unadorned celebrating the inherent qualities of the steel. Subdued reflections of the sky and paddock ripple across the skin of the building, softening the otherwise hard material. Internally, typical circulation is removed from the plan and spaces overlap to form dual purposes. 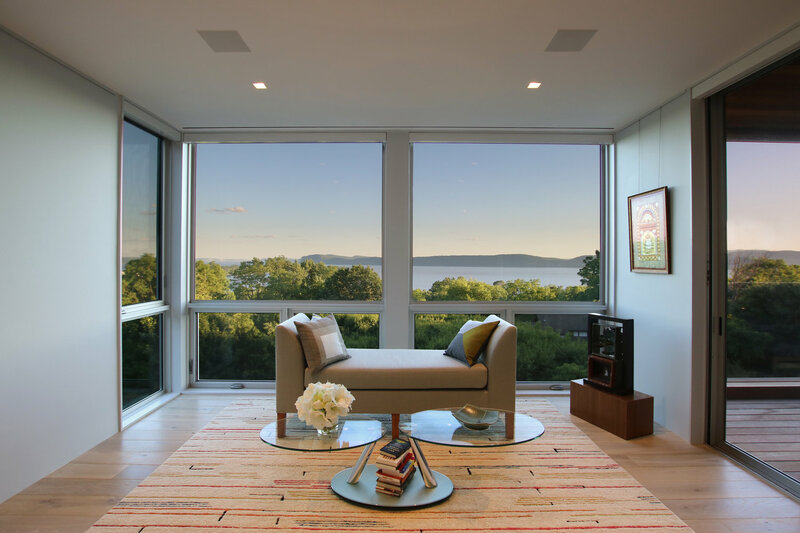 The living space is organised to the north and west overlooking the outcrop of granite and harnesses the warmth of winter sun. This communal area can remain open and flexible or be curtained off to create a quiet sitting room or spare bedroom. The main bedroom is orientated the east of the dwelling to capture rising sun and expansive view. The kitchen, bathroom and laundry services are clustered in the centre of the plan and form the main delineation between the work spaces and living spaces. Two working spaces are arranged behind the living spaces, making use of diffuse southern light. At Springhill House, capturing views was important to the client. Three large windows are arranged around the dwelling to capture the diverse qualities and facets of the paddock beyond. View and ventilation are separated. Solid ventilation panels are organised throughout the dwelling to enable cross flow ventilation that can be controlled from space to space, leaving view and aspect clear of obstruction. 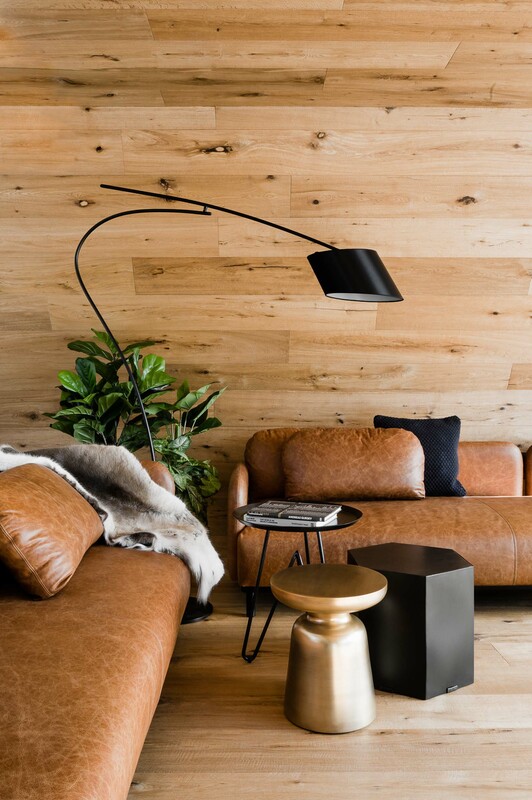 The home enlists a pared-down material palette of burnished concrete floors, birch ply joinery, porcelain tiles and stainless steel fittings. Blackbutt decking that encircles the dwelling’s verandah also carries through into the bathroom, converging internal and external elements. Internal detailing and joinery are simple and minimal yet highly resolved. The understated design provides the opportunity for occupants to imbue the space with their own histories and experiences. Throughout this project, each detail of the design is approached with consideration of longevity, value and beauty. No element of the building extends beyond its purpose. Standard sheet sizes of the internal plywood and external steel define the proportions of the spaces. The timber structure is both necessary and provides a rhythmic layer to the facade. Custom steel adorns internal work benches to provide a flash of colour as well as a durable surface. These elements and proportions come together to impart the dwelling with an understanding of human scale. The entry to Springhill house is nestled between two grass mounds to the south of the dwelling. The entry door is seamlessly detailed to merge with the metal cladding with only the handle, light and path to signify entry. 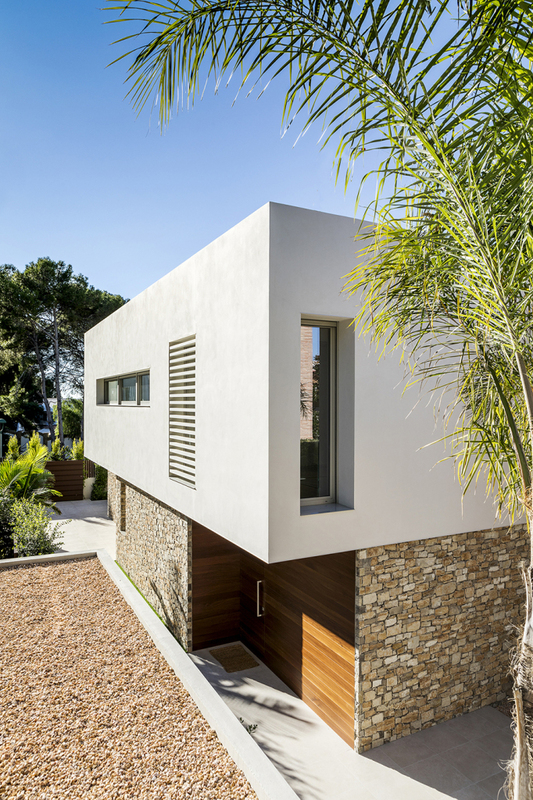 It is fully exposed to the elements and provides a definitive threshold between inside and outside. 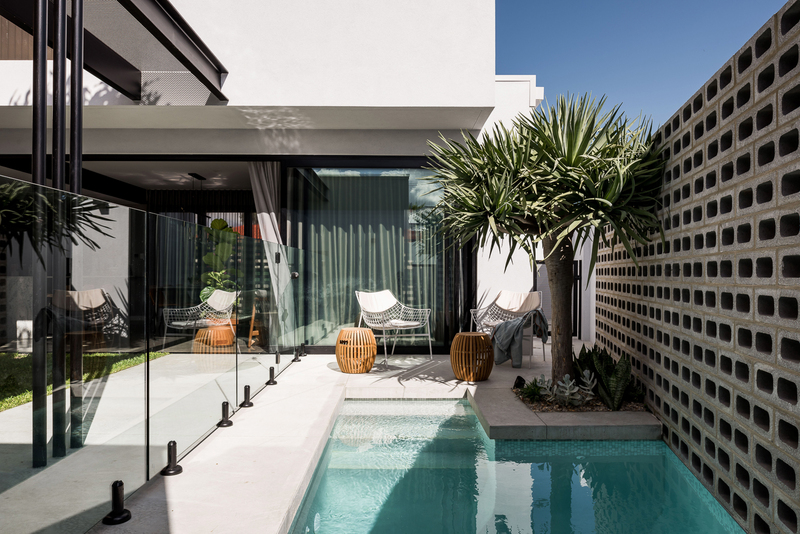 This conscious decision highlights the sense of exposure of the paddock in contrast with the warmth of the dwelling within. Lovellburton was founded by Joseph Lovell and Stephanie Burton following a long focused conversation over many years, sharing a common endeavour to shape built environments with a social, environmental and fiscal approach.